Storytelling shapes our perceptions of the world; sharing your story can inspire others and bridge empathy gaps by encouraging deeper thinking. Follow Dwelling Place on Facebook, Instagram, and website. You can also read their Open the Door series of resident stories on The Rapidian: resident leaders take Los Angeles, community gardening as personal growth, and the art of placemaking. Resident engagement through storytelling can also be an opportunity for residents to meet their neighbors and take ownership of their narrative and how they want to tell it. Staff at Dwelling Place, a Neighborworks member and CDC in Grand Rapids, Michigan, learned that residents were interested in the city’s Community Media Center and wanted to share their stories to inspire other residents to get involved. 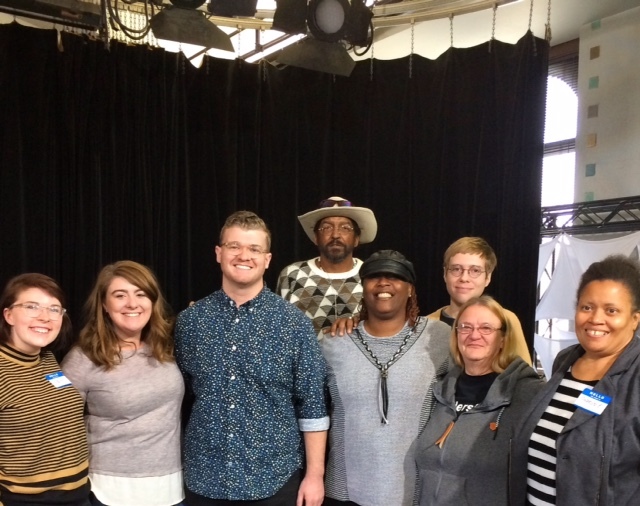 Spearheaded by Jenn Schaub, neighborhood revitalization specialist, and Mariah Cowsert, a NeighborWorks Americorps VISTA, a storytelling workshop was held and facilitated by staff from the public television station, GRTV. The focus was their motivation for community involvement and how to ignite that same flame among fellow residents. The three-hour workshop was split into specific topic areas to ensure residents would be engaged for the full time. It took place from 11 a.m.-2 p.m., with lunch provided as well as a public-transit schedule and bus passes. The goal was to lower barriers to attendance for residents who rely on public transportation. The middle portion of the workshop was devoted to interview best practices, starting a conversation about why you’re involved in the community, and questions that can help interviewees feel comfortable sharing. Finally, participants were split into pairs to determine the questions they would ask each other and exchange information about their strengths and passions. 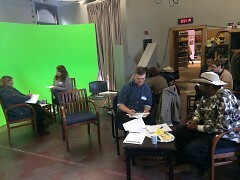 After the one-on-one discussions, resident teams transitioned into recording rooms. 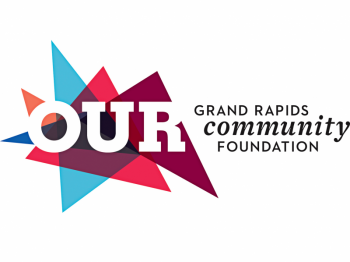 GRTV staff facilitated the recording of a 10-minute interview focusing on why community engagement matters, how they got involved, and how others can get engaged with their neighborhoods and resources available in Grand Rapids. Storytelling creates sustainable community building for residents and shines a light on the faces behind the organization. 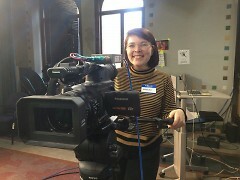 The interviews conducted by residents will be edited down to 2-minute videos by GRTV staff and shown on the lobby televisions at all Dwelling Place properties to show residents how their neighbors are engaged and how they can get involved, as well as broadcast on the local channel.